Live. Enjoy. Thrive. Ford's Colony aspires to be the preferred residential community in the greater Williamsburg area, attracting families and individuals of all ages who value an active, involved lifestyle in a gracious living environment. Talk of the Colony, our monthly magazine, contains articles from your Board, committees and neighbors on Colony-specific and general interest issues. Visit here for an overview of our website.​ To learn more about the Ford's Colony story, view our marketing website. With 57 percent of households responding to the 2019 Satisfaction Survey, participation exceeded the 54.7% response rate in 2016. Of the 1,486 respondents, 20% were under age 61. As noted in Board President Bob Moeller’s letter to residents, overall satisfaction for 2019 was a high 89%. Summary results can be viewed here. Look for highlights in the May issue of Talk of the Colony. The FCHOA Board of Directors thanks all who participated in the survey. Click this button to submit and track a request for non-emergency maintenance for street lights, roadways, entry gates or other common areas. In the event of an emergency, contact Community Services at 757-258-4230 (after hours, call Security at 757-258-4080). We have a comprehensive tutorial and FAQ's for your review. If you have any questions, please send them to questions@fchoa.net and we will answer them as soon as possible. The logo to the left takes you directly to the log-in page. 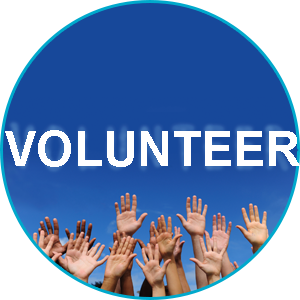 Click on the Volunteer button for committee descriptions and the Volunteer Application. The Ford's Colony Homeowners Association Website is pleased to have the following sponsor. Please show your appreciation by supporting this businesses For more information about becoming a sponsor, contact Jenny Holland at 757-258-4270. Room assignments are current as of March 29th. Assignments are subject to change, call 757-258-4270 to confirm room availability.